Social media have given us more than a peek into the fabulous lives of celebrities. Aside from their OOTDs and travels, their feeds also showcase food—what they eat and how they eat. 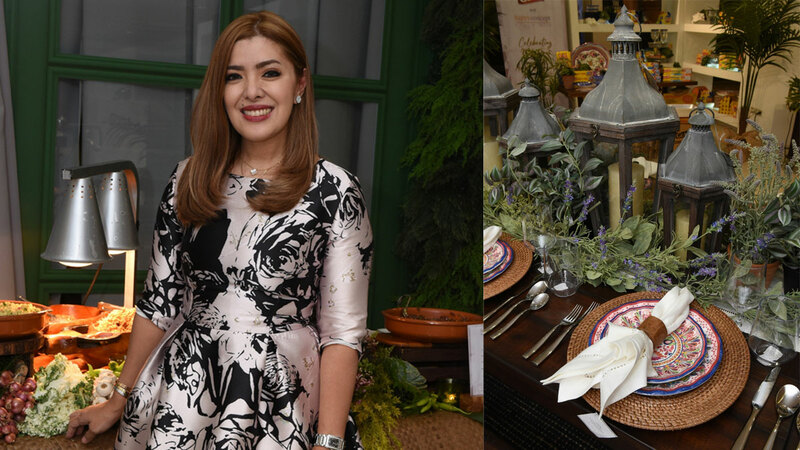 But in the case of Happy Ongpauco, a chef-restaurateur who peppers her Instagram account with beautiful tablescapes, she does it out of passion. "I enjoy it, the table setting and cooking. I don’t feel like it’s a chore or a job. I can actually forget the time because I'm so absorbed doing it. "But the best part for me is when I see the delight on the faces of those who will eat." 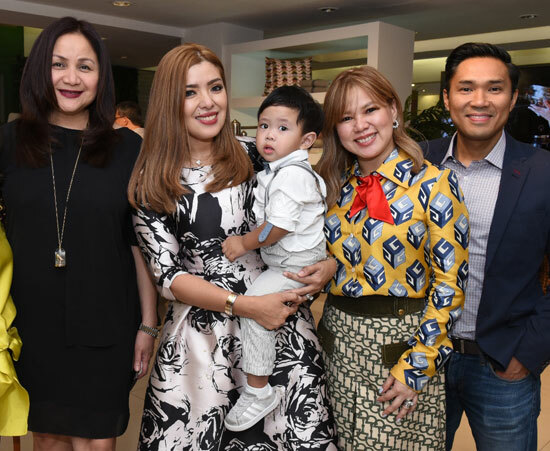 Among Happy's clients is her cousin Heart Evangelista, who, from time to time, gets table setting tips from the entrepreneur. Happy told PEP.ph (Philippine Entertainment Portal), “When she just got married, I was like guiding her through. "But Heart kasi is very artistic, so it’s very easy, I mean it’s very innate in her, so I didn’t really have to teach her. "It's more like the basic—where to position your accessories—but she has her own style." 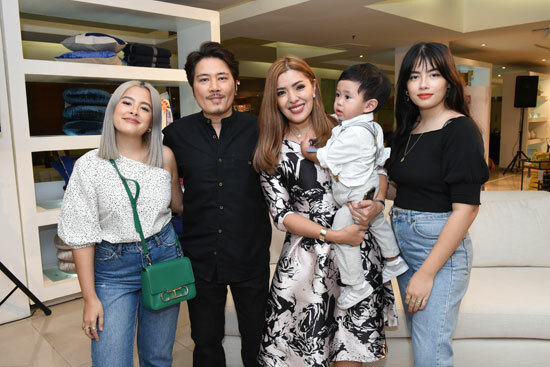 At the celebration of her 20th year in the food industry and the launch of Spring/Summer 2019 Collections of Pottery Barn, Pottery Barn Kids, and West Elm, the woman behind restaurants Pamana, Hawaiian BBQ, World Topps, Tsokolateria, and Bento Box gave some tips on setting and curating a dining table. "Whenever I travel abroad, looking for plates, saucers is part of my itinerary. I have my plate collections. I have a menu of plates. I have a menu of silverware, a menu of glasses. "When buying, get colors that are easy to match and designs that are classic and timeless." Here’s a peek into her Plate Library. 2. Know how to set the plates, glasses, and cutlery properly. "It's not complicated. In fact, you can use just one fork placed on the left side plus a knife and a spoon on the right." 3. Be creative with your accessories. "You can add elements on the table that are functional. Example, trays—they don't just help prevent ring stains on the linens, they can be part of your set-up. Same with trivets. "I also love using fresh flowers. Sometimes, I use both fresh and artificial flowers. If you want to add more accents, you have to think of the occasion." 4. Food is the main star. "Do not overdo the table decorating." Happy also gave GLAD foils, wraps, and zipper bags a special mention because "they help with the mess and the leftover food’s packaging." By the way, if you don't have the time to do the tablescape yourself, one of Happy's business ventures—bespoke catering—can do the job. "I work on budget so my whole idea for this, for private dining is, they choose their kind of plate, their linens, I mean, we let them choose what they want." "If it’s a big group, it can be PHP1,500 per head. If you’re a smaller group, it can range up to PHP 3, 500 per head, so it really depends on the volume." If you don’t have time to cook, she has Mom Made, which offers "100 percent all-natural frozen dishes that are ready to cook for moms like me who are busy."